The EcoPure FACT universal whole home water filter (model EPW4F) delivers cleaner, clearer better tasting water throughout your home. This premium water filter is NSF certified to reduce chlorine taste & odor, sediment, sand and silt. 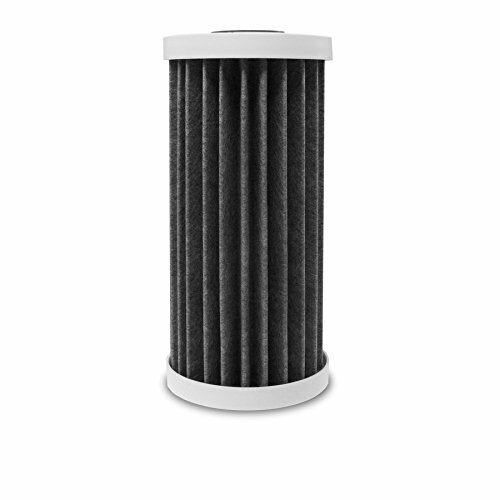 It is designed to last up to 6 months - twice as long as most other whole home filters! With a micron rating of less than 1, it will capture the smallest contaminants for both municipal and well water supplies. It fits EcoPure model EPWO4 and most large capacity whole home water filtration systems including: Whirlpool, Omni, Culligan, Watts, Filtrete, 3M, GE, and DuPont. The patented Flow and Capture Technology (FACT) delivers cleaner, better tasting water throughout your home without flow reduction. Questions? Call the EcoPure helpline at (800) 693-1138. Text EcoPure to 444999 to sign up for filter change reminders.